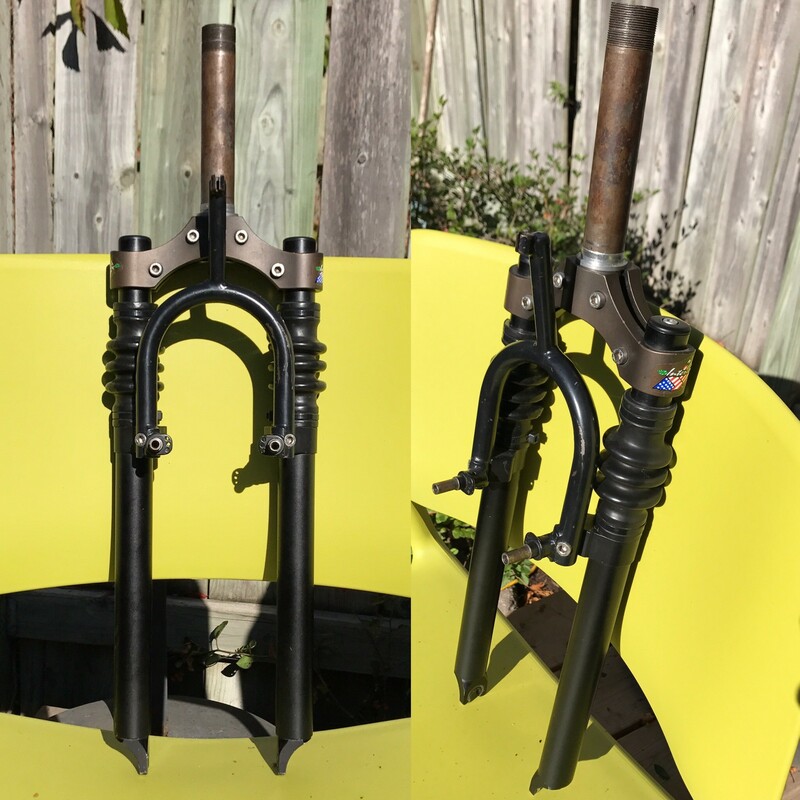 1990 IRD Telescopic XC Suspension Fork and 1990 Yo Eddy. That is a great start for an interesting build. What a rare fork ! It really does suit it. I gotta get it apart and see what it looks like inside. It’s functioning but has that manitou slouch to it. These forks use no bushings, they work on a tube-into-tube principle! Be careful with the rubber boot, if it gets a hole you have a problem. I use one of these forks in my IRD FS. The first one was very loose and had lots of play in it. No chance to repair it, I think. It took me three years to find another one, since these became somehow rare. 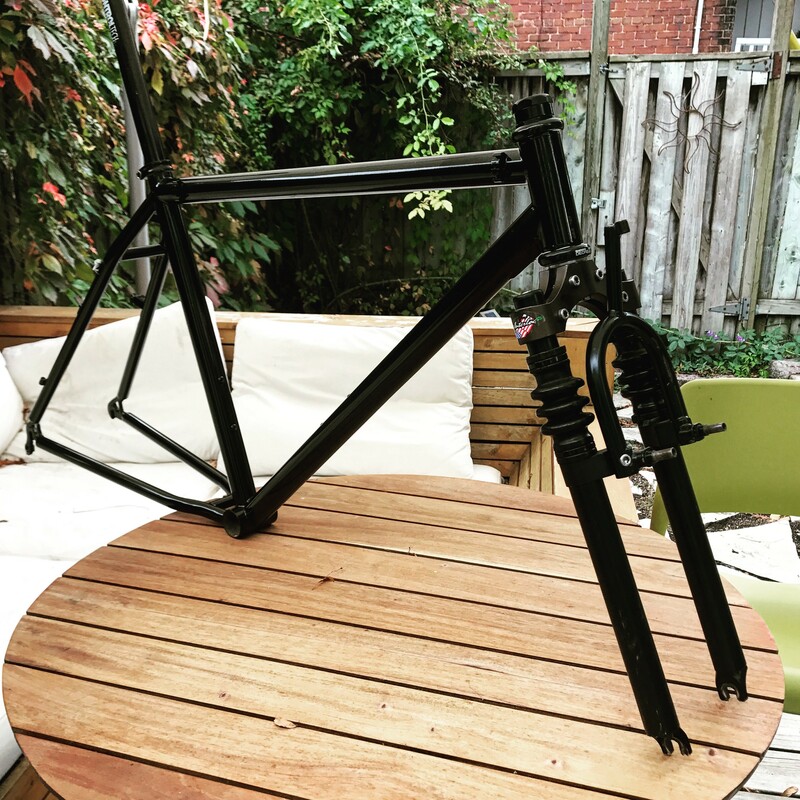 Loving that, are you going with black components too? That is just awesome, Jim! 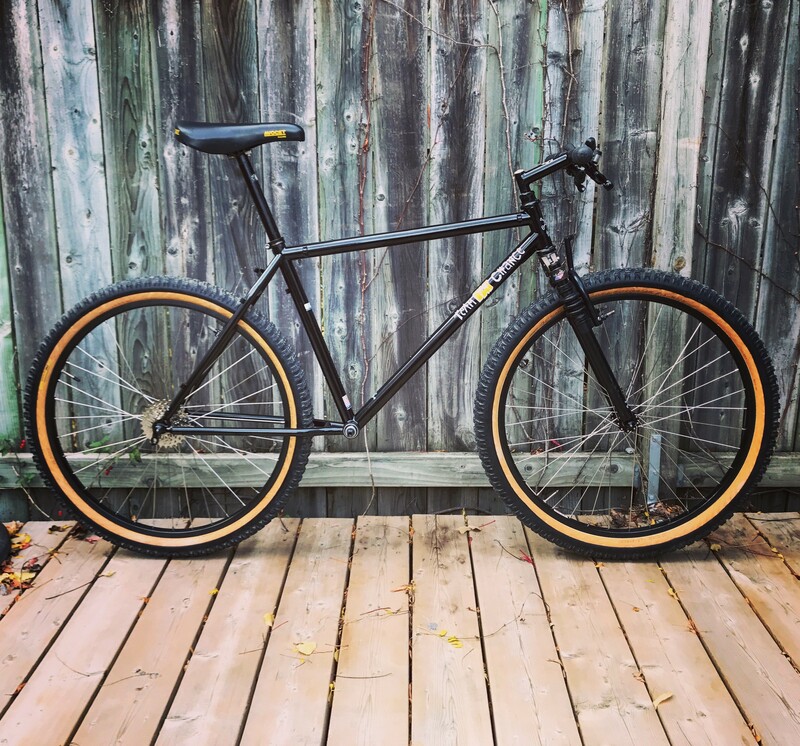 Is that a Salsa stem you have found?